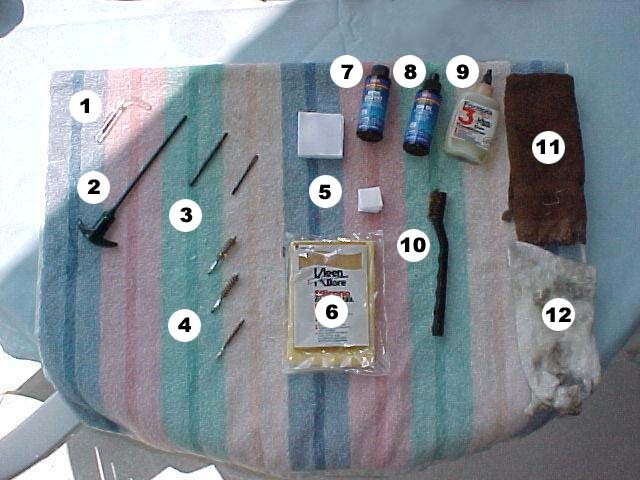 The following are tools and precautions that should be taken when cleaning any firearm. These aren't just suggested items and recommendations; they are absolutely essential to assure your safety with respect to firearm cleaning. Do NOT bring ammunition, food, drink or tobacco to the area where you clean your guns! You are going to be working with materials that, if handled carelessly, can cause irrevocable harm to you and others. Ammunition should not be present for obvious reasons. The most obvious reason is that you're going to be cleaning your gun, not firing it. The not-so-obvious reason is that the solvents can negatively affect the function of your ammunition and possibly damage your firearm beyond repair. Food and drink should not be present due to the toxicity of materials with which you will come into contact in the process of cleaning. Gunpowder residue, lead and other toxic substances are present in the contaminants you will be removing from your firearm. Do not needlessly expose yourself to the risk of accidental ingestion of these materials. The consequences are severe and often irreversible. 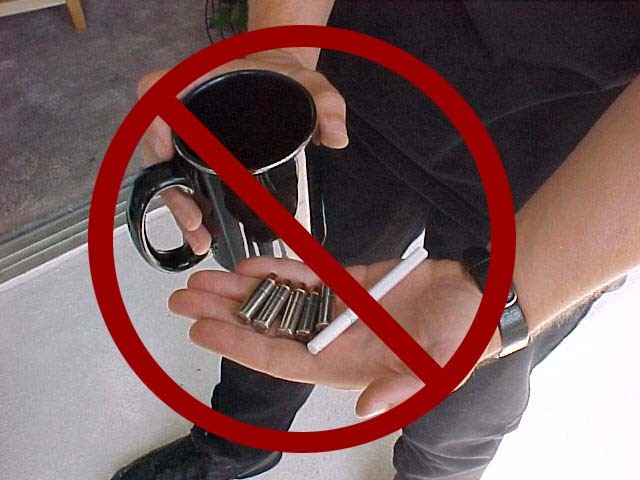 Tobacco and open flame should not be present due to the flammable nature of most solvents. So...NO SMOKING ALLOWED! Once you've taken care of these essential steps, then we're ready to commence with disassembly, cleaning and reassembly of the firearm.